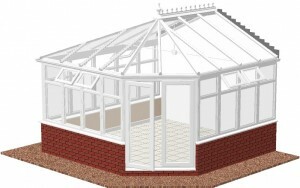 The standard DIY Edwardian style of conservatory is the second most popular style of self build conservatories after the lean-to style. The square or rectangular floor area allows for flexibility in furniture layout. The maximum width and projection is at around five meters and the roof pitch can be from seventeen and a half degrees to thirty degrees. 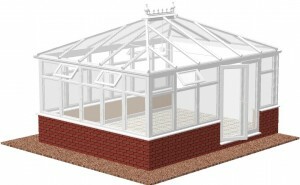 The bay Edwardian DIY conservatory is an interesting alteration to the standard Edwardian style. There are various reason for including the bay, such as avoiding a manhole cover or enhancing the view into the garden by using the full height glass doors to draw the eye to a feature. The bay is created by adding another hip into the roof structure and by using two, one hundred and thirty five degree corner posts. This alteration to the standard style will incure an extra cost. 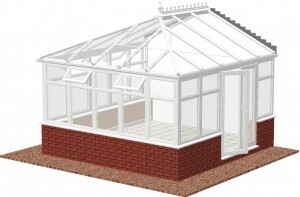 This multi bay DIY Edwardian conservatory is a rather rare style that only people design for very specific reasons. A couple of reasons are to pick up on an architectural feature on the house like a curved bay window or to display a piece of curved furniture as a special feature. To create the multi bay feature more hips need to be added to the roof structure and extra one hundred and fifteen degree bay poles fitted between the frames. 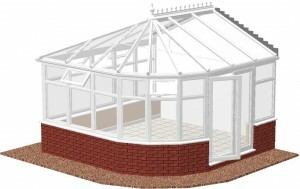 The hipped back DIY Edwardian style is another very popular design. This style was designed mainly to overcome height restrictions, but is also popular for aesthetic reasons. 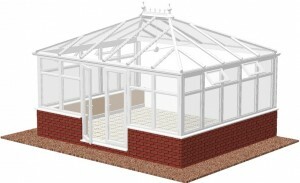 Having the roof ridge in the center of the structure, with four roof pitches is appealing from outside and in. The roof structure is supported on the house wall or facia board by a structural aluminium box gutter. 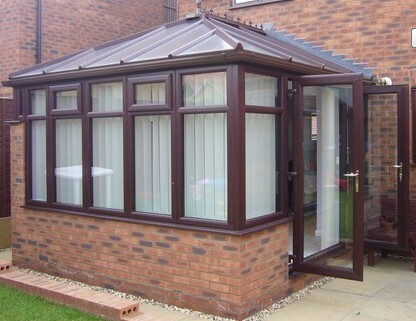 If the box gutter is attached to the facia then the roof is manufactured smaller than the conservatory area to accommodate the soffit width. The frames need to be made to the correct height to fit under the soffit. 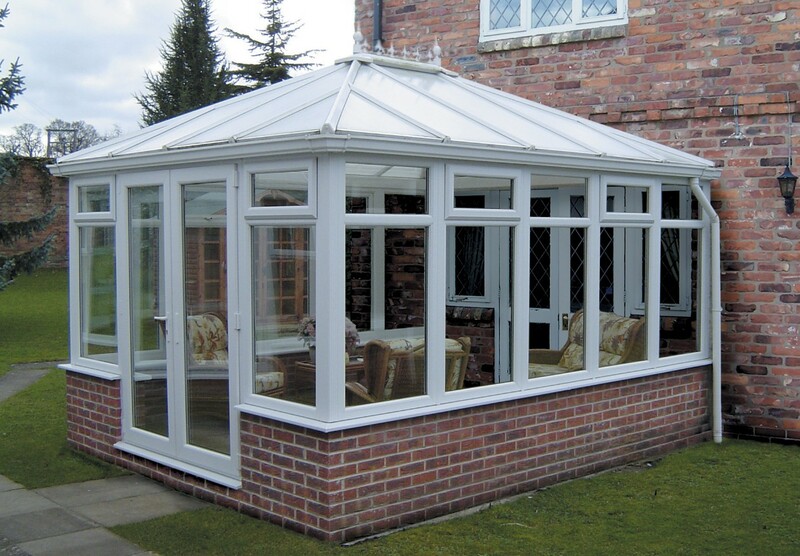 The reverse drop DIY Edwardian conservatory style does exactly the same job as the hipped back design, but has the roof ridge running perpendicular to the supporting structure. While the hipped back design can stretch to any width required, the reverse drop style can only be a maximum of about five meters wide. As a rule the hipped back must have it’s width greater than the projection and the reverse drop must project more than the width.